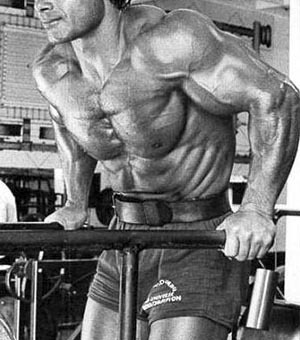 While decline flyes and presses are great exercises, and work well for many people, weighted dips are my favorite lower chest builder. Dips offer not only benefits for building a thick lower chest, but they also pump your triceps and front delts to the max, leaving your whole upper-body feeling huge! To put some specialization into your lower-chest, put weighted dips first in your workout, and finish with some bodyweight dips to failure. Check out the routine below.